When somebody has special needs, they may suffer in a wide variety of ways. At times, they may be limited in the things that they are able to do. This is not always because of a physical issue that causes the limitation, it is because other people tend to limit them because of their disability. That was the case with Collette Divitto, but she shows us that it is possible to move beyond it. 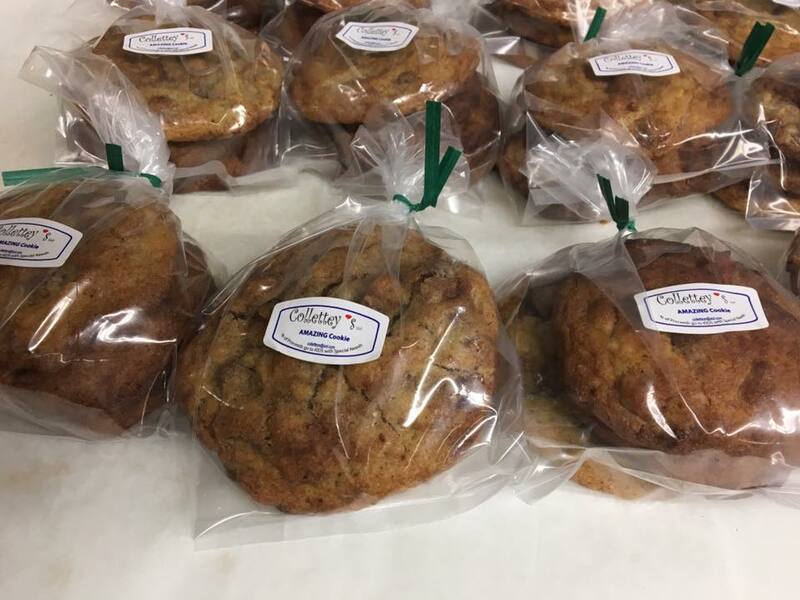 Ever since she was 15 years old, she would bake on the weekends for her friends and family. 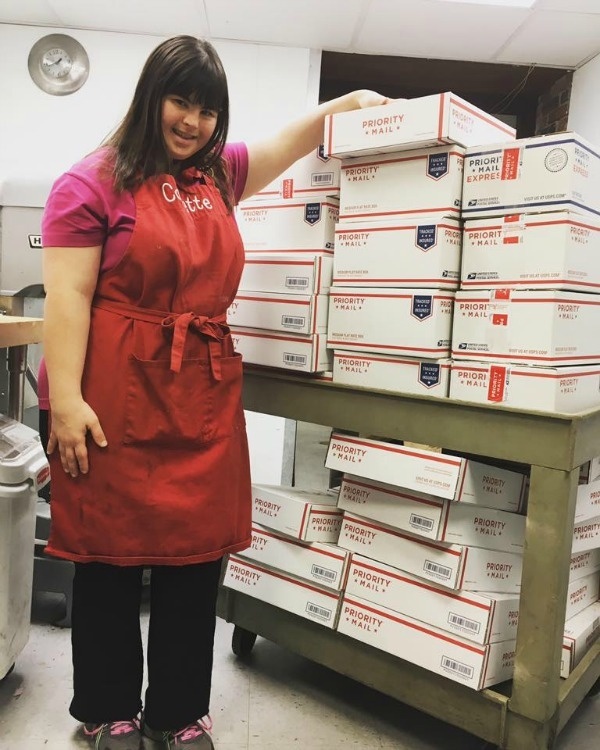 She truly had a passion for baking, and she knew that it was what she wanted to do for the rest of her life. 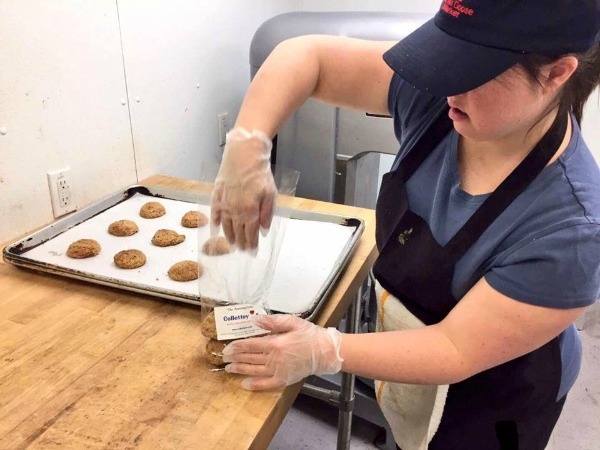 She started applying for jobs when she was 22 years old to work in the bakery. Unfortunately, she met with a lot of rejection. People who would interview her knew that she was nice but said that she didn’t fit their needs. She felt rejected over the situation. Divitto began to wonder if her Down syndrome was truly more of an issue than what she felt it was. It had an effect on her because she was rejected so frequently. Regardless of those rejections, however, she decided to pursue her passion and she did so with the help of her mother and her sister. 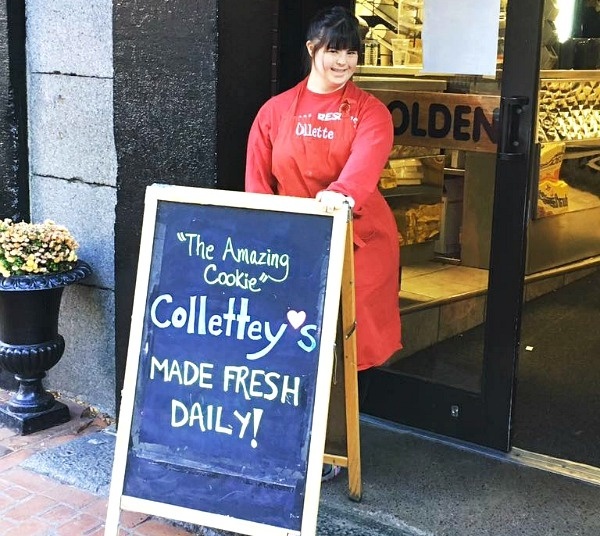 They set up a company called Collettey’s. It wasn’t very long after the company was established that they received a return order from Boston’s Golden Goose Market. They then received coverage on CBS and soon after, had 10,000 orders to fill! People who have disabilities face more than physical limitations, they face the limitations that other people place upon them. The Bureau of Labor Statistics says that they face an unemployment rate that is double that of individuals without a disability. Divitto is proving to the world that she is not only capable of working, she does so with style. Divitto also had some advice for others who were trying to achieve their goals. She doesn’t want them to get sad over being rejected, just stay motivated and follow your dreams. This young woman is not only an inspiration to the disabled community, she is an inspiration to us all. Her determination has allowed her to establish a booming business and it looks like there is nothing that can stop her. Man Makes Living by Building Toys...With His Feet!